BUCHAREST (Romania), March 29 (SeeNews) - Romania's government has approved cuts to the tax on banks' assets that was enforced through a controversial fiscal emergency decree in December, it said on Friday. 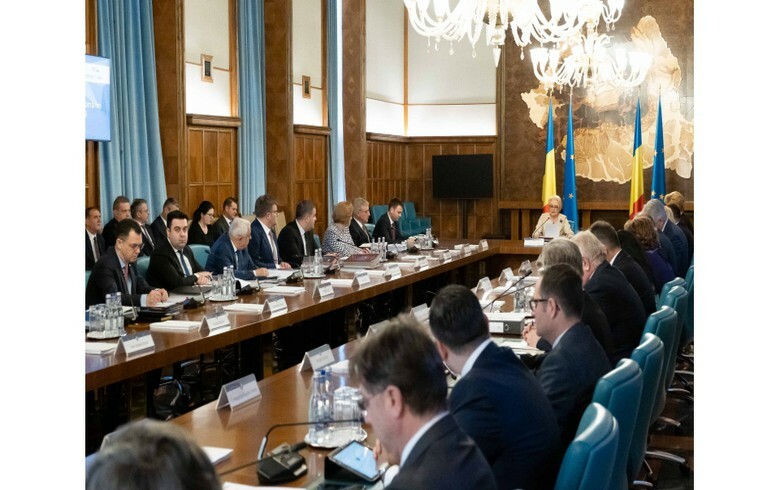 The government has lowered the tax on banks' financial assets to 0.2%-0.4% a year based on market share and decoupled it from money market rates, prime minister Viorica Dancila said in a televised statement at the beginning of the weekly government meeting broadcast by Digi24. Banks with a market share below 1% would pay a tax on assets of 0.2% and banks with market share above 1% would pay an asset tax of 0.4%, according to the amendments published on the government's website. Banks will pay the asset tax twice a year. Originally, the decree enforced a 0.1%-0.5% quarterly tax on banks' assets if money market rates exceeded 2% - a measure severely criticized by bankers. In certain conditions, some financial assets such as government securities, government-guaranteed lending programmes and loans to public administration bodies could be exempt from the tax. The tax could be further lowered if banks achieve government targets that would be set annually. In order to pay less in 2019, banks would need to post 8% growth in private lending and to shrink the margin between interests rates on loans and deposits by 4 percentage points. The government also plans to replace the Romanian Interbank Offer Rate (ROBOR), used as a reference point in calculating variable interest rates on loans to households, by a reference value to be calculated based on transaction averages. Earlier this month, Standard & Poor's Global Ratings maintained Romania's rating at BBB-/A-3, with a stable outlook, after the Romanian government pledged it will revisit key parts of the fiscal emergency decree, especially the ones referring to the 'greed tax' on banks' assets. However, S&P stressed it could lower the rating in the coming 12-24 months if the expected policy reversal was insufficient to avoid a pronounced economic slowdown. "Should Romania's monetary policy flexibility weaken, for example, as a result of the new tax on the financial-sector balance sheet, downside pressure on the rating would also build," the ratings agency said.